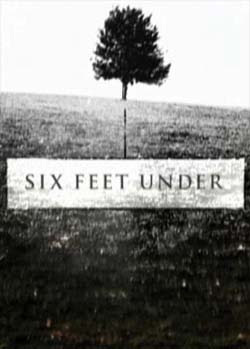 Since my move I've been caught up in the first season of Six Feet Under. Its oddly compelling. Unfortunately the liner notes are spoiler whores. First season took place in 2001. The liner notes say one of the main characters is going to die in 2005. Not only does this mean they'll be safe from any possible injury for the next few seasons, I will now expect this death! I never had this problem with Blockbuster. Sure they were slow and cheated me out of Smallville but at least they didn't send along any spoiler liners! We're also watching Six Feet Under and the video loops in the menu also have spoilers! Infuriating! I do like the show, though. I really try to ignore them...at least they're normally for things that will happen in that disk and not four years in the future. What were the dvd planning people thinking! ?